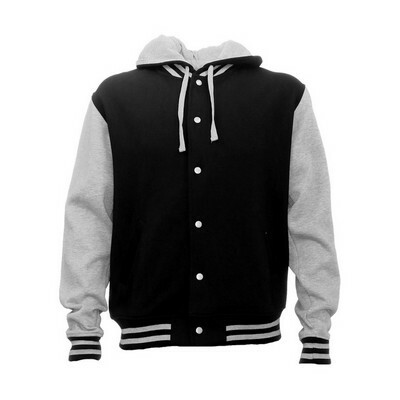 Combining the classic style of a hoodie with the retro-ness of a college jacket - voila - CPH has arrived! 280gsm, 50% cotton, 50% poly. Anti-pill, pre-shrunk. Unlined hood suitable for hood prints. Flat drawcord with folded/sewn ends. Pouch pocket. Tape in shoulder seams. Twin needle top stitch detail. Classic fit. Sizing: XXS-3XL. Colours: Charcoal-Black, Charcoal-Bottle, Charcoal-Maroon, Navy-Red. 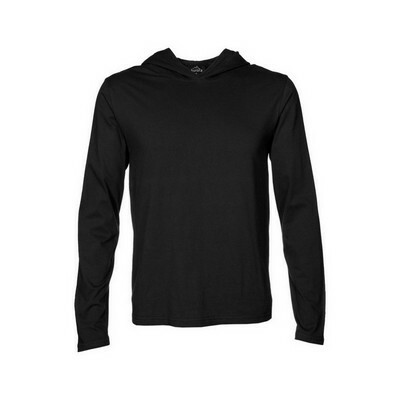 Classic styling, excellent colourfastness and shape retention 280gsm poly/cotton. Soft brushed inside. Fine rib collar and cuffs. Twin needle topstitch detail. Tape in shoulder seams. Classic fit. Sizing: S-3XL, 5XL. Colours: Black, Bottle, Grey Marle, Maroon, Navy, Red, Royal, White. Classic styling, excellent colourfastness and shape retention 280gsm poly/cotton. Soft brushed inside. Fine rib collar and cuffs. Twin needle topstitch detail. Tape in shoulder seams. Classic fit. Sizing: 4-14. Colours: Black, Bottle, Grey Marle, Maroon, Navy, Red, Royal, White. Pair a white zip and drawcord together - voila - instant fashion. These Clokes are brushed inside for superb comfort. 300gsm. 60% cotton, 40% polyester. Soft brushed inside. Lined hood with white drawstring. Grunty metal zip with white tape. Reinforced shoulder seams. Twin needle top stitching detail. Cloke label. Sizing: XS-3XL, 5XL. Colours: Black, Charcoal, Grey Marle, Navy, Royal. 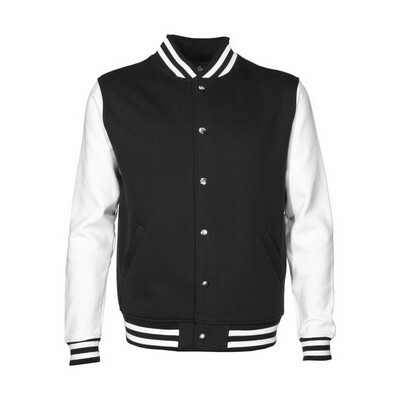 A new kids Cloke. White zip and drawcord for instant style. 300gsm. 60% cotton, 40% polyester. Soft brushed inside. Lined hood with white drawstring. Grunty metal zip with white tape. Reinforced shoulder seams. Twin needle top stitching detail. Cloke label. Sizing: 6-14. Colours: Black, Navy. Fantastic value, great fit, nice quality - what more can we say? 280gsm. 50% cotton, 50% poly. Sizing: XS-3XL, 5XL. Colours: Black, Grey Marle, Navy, Orange, Royal. Fantastic value, great fit, nice quality - what more can we say? 280gsm. 50% cotton, 50% poly. Sizing: 6-14. Colours: Black, Grey Marle, Navy, Orange, Royal. 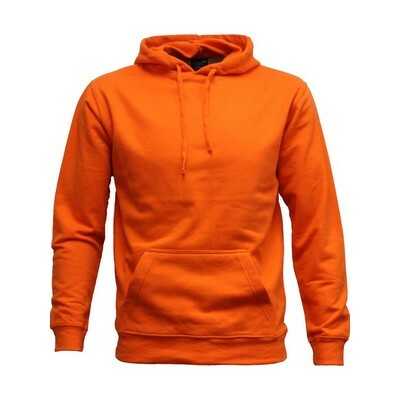 Pullover hoodie in a slim fitting womens cut. Timeless style. 280gsm poly/cotton. Soft brushed inside. 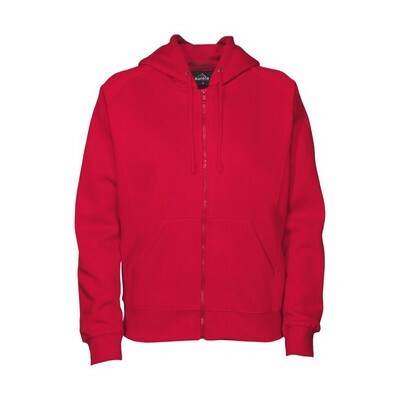 Lined hood with drawstring. Pouch pocket. Tape in shoulder seams for 'anti-sag'. Twin needle top stitching detail. Fashion fit. Sizing: 8-18. Colours: Aqua, Black, Charcoal, Emerald, Grey Marle, Navy, Hot Pink, White. 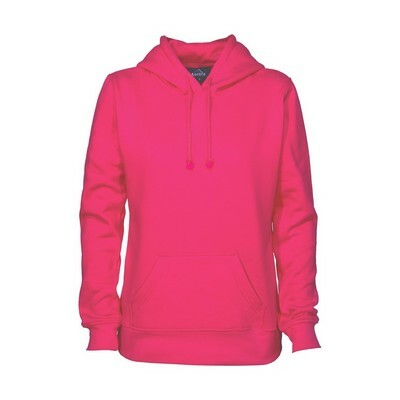 Womens mid weight zip hoodie. Tailored, feminine cut with side panel detail. 280gsm poly/cotton. Soft brushed inside. 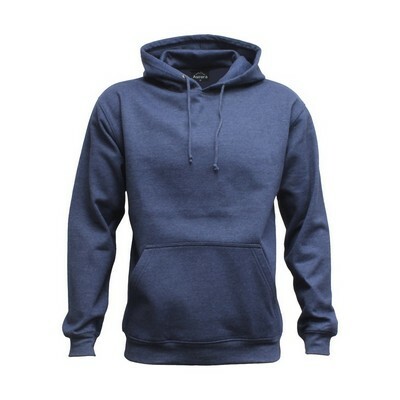 Lined hood with drawstring. Pouch pocket. Raglan sleeve. Tape in shoulder seams for 'anti-sag'. Twin needle top stitching detail. Fashion fit. Sizing: 8-18. Colours: Black, Chocolate, Grey Marle, Navy, Red, Sky, White. Super thick, super warm, super styley. The HHI is one serious piece of gear. 400gsm premium anti-pill fabric. 80% cotton/20% polyester. Soft brushed inside. Twin needle topstitching detail. Tape in shoulder seams. Lined hood with drawstring. Classic fit. Sizing: XS-3XL. Colours: Black, Dark Grey, Navy, Royal. Super thick, super warm, super styley. The HHI is one serious piece of gear. 400gsm premium anti-pill fabric. 80% cotton/20% polyester. Soft brushed inside. Twin needle topstitching detail. Tape in shoulder seams. 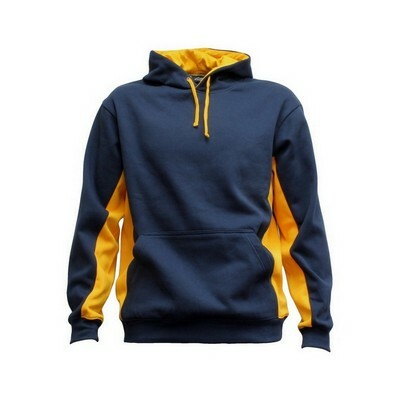 Lined hood with drawstring. Classic fit. Sizing: 10-14. Colours: Black, Dark Grey, Navy, Royal. 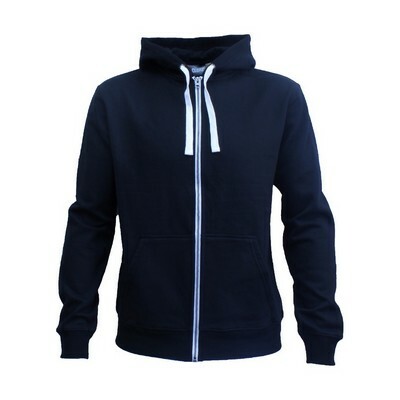 Striped rib collar outside the hood means this garment makes a statement hood up or down. 280gsm poly/cotton fabric. Front welt pockets. Tape in shoulder seams. Twin needle top stitch detail. Unisex fit. Sizing: XXS-3XL. Colours: Black, Red. The one that started it all - the original Aurora hoodie. Still hot after all these years. 280gsm poly/cotton. Soft brushed inside. 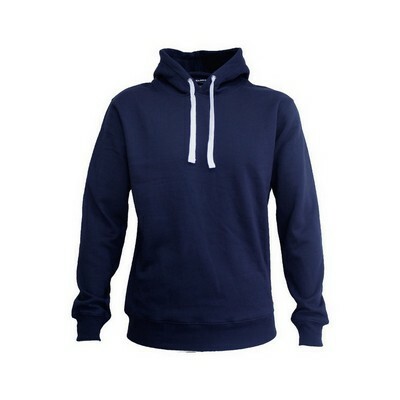 Lined hood with drawstring. Pouch pocket. Tape in shoulder seams. Twin needle top stitching detail. Classic fit. Sizing: XS-3XL. Colours: Aqua, Black, Bottle, Charcoal, Denim, Grey Marle, Maroon, Navy, Red, Royal, Sky, White, Kelly. The one that started it all - the original Aurora hoodie. Still hot after all these years. 280gsm poly/cotton. Soft brushed inside. 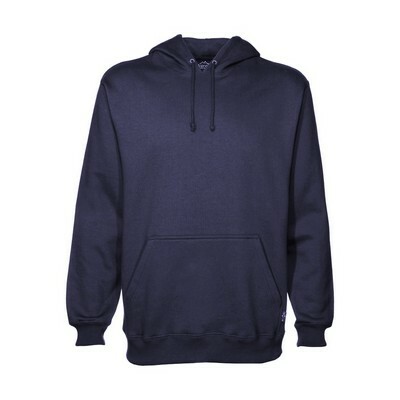 Lined hood with drawstring. Pouch pocket. Tape in shoulder seams. Twin needle top stitching detail. Classic fit. Sizing: 2-14. Colours: Aqua, Black, Bottle, Charcoal, Grey Marle, Maroon, Navy, Red, Royal, Sky, White, Kelly. Now available in 11 colours in 5XL, plus Black and Navy in 7XL. 280-300gsm poly/cotton. Soft brushed inside. 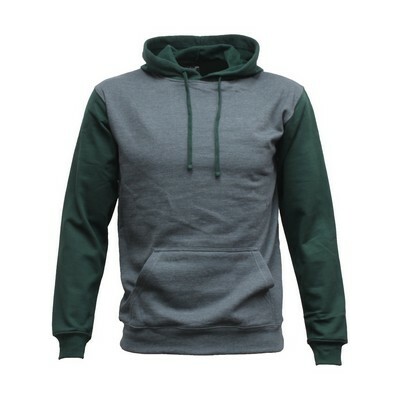 Lined hood with drawstring. Pouch pocket. Tape in shoulder seams. Twin needle top stitching detail. Classic fit.. Sizing: 5XL, 7XL. Colours: Maroon, Denim, Aqua, Black, Bottle, Grey Marle, Navy, Red, Charcoal, Kelly. 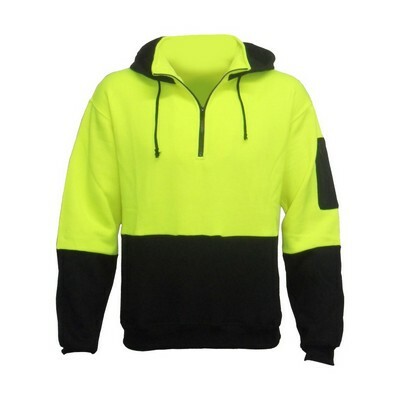 Half zip hi-viz hoodie. In-your-face style and safety combined. Meets the following standards:. AS/NZS 4602.1:2011 Class D. AS/NZS 1906.4.2010 Class F. AS/NZS 4399:1996. ISO 12945-1-2000. 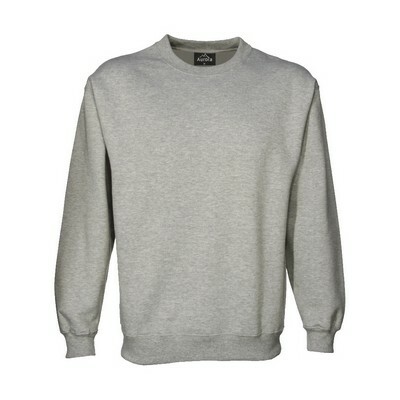 320gsm sweatshirting fleece. Polyester fluoro panels for luminescence. Polycotton Black panels for minimized pilling. Soft brushed inside 2 front zippered pockets. MP3 Cord management system. Phone pocket on sleeve. Sizing: S-3XL, 5XL. Colours: Black-Yellow. Looks fantastic with huge screenprints or applique. 280gsm poly/cotton fabric. Front welt pockets. Tape in shoulder seams. Twin needle top stitch detail. Unisex fit. Sizing: XXS-3XL. Colours: Black, Navy. Now you can have the fastest-looking team on the planet. Set the pace for your next match. 280gsm poly/cotton. Soft brushed inside. Contrast lined hood. Contrast 'flat' drawcord. Contrast panel detail. Pouch pocket. Tape in shoulder seams. Twin needle top stitching detail. Classic fit. Sizing: XS-3XL, 5XL. Colours: Black-Gold, Black-Red, Black-White, Navy-Gold, Navy-Red, Navy-White, Black-Royal, Navy-Sky, Royal-White. Now you can have the fastest-looking team on the planet. Set the pace for your next match. 280gsm poly/cotton. Soft brushed inside. Contrast lined hood. Contrast 'flat' drawcord. Contrast panel detail. Pouch pocket. Tape in shoulder seams. Twin needle top stitching detail. Classic fit. Sizing: 6-14. Colours: Black-Gold, Black-Red, Black-White, Navy-Gold, Navy-Red, Navy-White, Black-Royal, Navy-Sky, Royal-White. 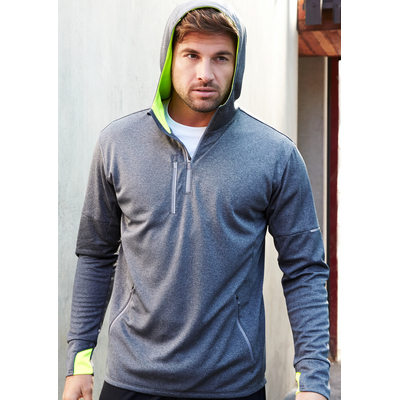 A hoodie for summer or the gym. T-shirt weight. Lightweight 200gsm. 100% cotton jersey. Lined hood. Tape in shoulder seams. No pocket - huge print area. Fashion fit. Sizing: S-3XL. Colours: Black, Dark Grey, Grey Marle, Navy. 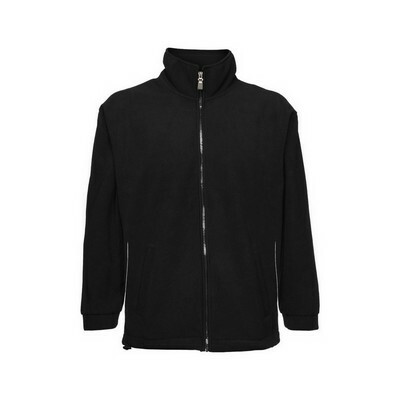 Aurora's dense, heavy weight microfleece is ideal when warmth and durability are required. 340gsm heavyweight. High density anti-pill microfleece. Premium CMZ full zip. Bound collar & zip prevents rubbing. Front welt pockets. Classic fit. Sizing: S-3XL, 5XL. Colours: Black, Navy. Aurora's dense, heavy weight microfleece is ideal when warmth and durability are required. 340gsm heavyweight. High density anti-pill microfleece. Premium CMZ full zip. Bound collar & zip prevents rubbing. Front welt pockets. Classic fit. Sizing: 4-14. Colours: Black, Navy. 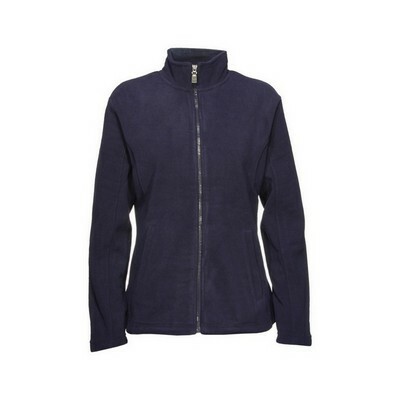 A warm and cosy microfleece jacket, in a feminine cut with panel detail. 340gsm heavyweight. High density anti-pill microfleece. Body and sleeve panel detail. Premium CMZ full zip. Front welt pockets. Classic fit. Sizing: 8-22. Colours: Black, Navy. At last, a hoodie without a pocket! Yip that's by design - perfect for HUUUGE front artwork. Great for matching to t-shirts too - no longer do you need to have a big print on the tee and a little one on the hoodie. 300gsm. 60% cotton, 40% polyester. Soft brushed inside. Lined hood with white drawstring. Tape in shoulder seams. Twin needle top stitching detail. Cloke label. Sizing: XXS-3XL. Colours: Black, Navy. Aurora's dense, heavy weight microfleece is ideal when warmth and durability are required. 340gsm heavyweight. High density anti-pill microfleece. Premium CMZ half zip. Bound collar & zip prevents rubbing. Front welt pockets. Classic fit. Sizing: S-3XL, 5XL. Colours: Black, Navy. 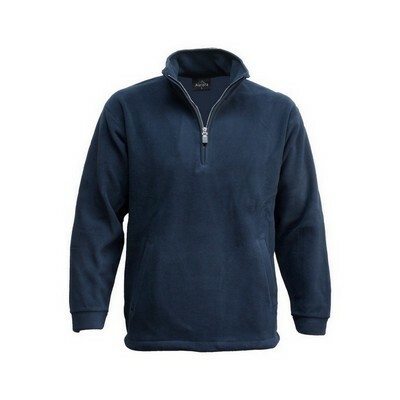 Aurora's dense, heavy weight microfleece is ideal when warmth and durability are required. 340gsm heavyweight. High density anti-pill microfleece. Premium CMZ half zip. Bound collar & zip prevents rubbing. Front welt pockets. Classic fit. Sizing: 4-14. Colours: Black, Navy.